Berry was born in Hillsborough, NC. She graduated with honors from the State Normal School (now UNC-Greensboro) in 1897. Four years later, she began working as a stenographer for Dr. Joseph Hyde Pratt, a mineralogist on the North Carolina Geological and Economic Survey. 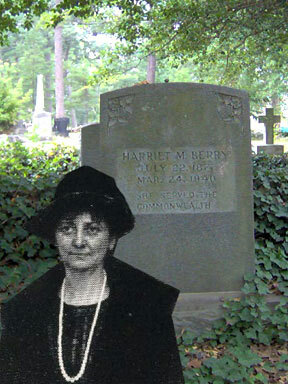 Berry became involved in many aspects of the survey’s work and became secretary to the survey in 1904. In 1906, Pratt become state geologist and secretary of the North Carolina Good Roads Association. While Pratt was in the army during World War I, Berry served as acting head of the survey. In 1919, she led the North Carolina Good Roads Association in their first (unsuccessful) attempt to create a state highway commission. Determined to succeed, Berry canvassed the state from 1919 to 1921, speaking to the public and writing letters and petitions. Her efforts greatly increased the membership and finances of the NC Good Roads Association, and in 1921 the General Assembly passed a law creating a state highway commission and committing North Carolina to the construction of a modern highway system. Berry went on to work as an editor for the Greensboro Daily News and the North Carolina Department of Agriculture. She also served as the secretary of the North Carolina Credit Union Association, and later as state superintendent for credit unions. She was a lifelong Democrat and a staunch supporter of women’s suffrage. A section of I-40 between Durham and Hillsborough was named for her. Finding Aid for the H. M. Berry Papers #2259, Southern Historical Collection, Wilson Library, University of North Carolina at Chapel Hill.